What's your favorito season 10 episode? Thoughts on the series finale? Does anybody else really not like Bobby actually confiding in the shrink? Here are my ideas for a season 8...all of this are fictional and nothing is real. Goren and Eames probe the mysterious death of a wealthy authour, when they discover there are no physical clues and DNA to prove who killed her, but soon things get really weird when Goren recieves a minature replica of the crime scene and they are shock to know how she died and even mais shock to know who done it. Meanwhile, ADA Locke has his first case. 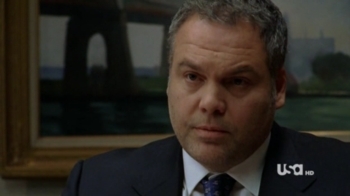 In the series finale, Goren and Eames investigate the murders of two staffers at a Web company involved in a heated lawsuit. Their investigation leads to a site that connects strangers who've had brief romantic encounters. A sitcom estrela turned Broadway actor is killed performing a stunt in a controversial and highly technical Broadway musical, and the real drama is trying to figure out who wanted the leading man dead. Which famous actress plays Bobby's mother?